The University of Edinburgh’s Science, Technology and Innovation Studies subject group, in collaboration with National Museums Scotland, invites applications for a fully-funded three-year PhD studentship on the history of collecting scientific materials in museums. The studentship award has been made by the Scottish Cultural Heritage Consortium under the AHRC’s Collaborative Doctoral Partnership scheme. The project, due to begin in October 2017, will be supervised by Dr Niki Vermeulen and Dr Dominic Berry of the University of Edinburgh, and Dr Tacye Phillipson and Dr Sam Alberti of National Museums Scotland. 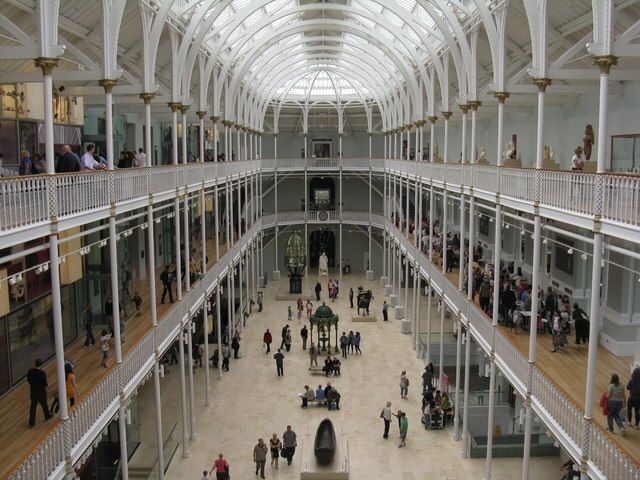 The studentship will research and analyse the collecting practices of National Museums Scotland with a focus on materials from the sciences, looking at three key museum acquisitions: the transfer of material by Professor Lyon Playfair in 1858, including 18th-century chemical material such as Joseph Black’s glassware; the Scotland-wide university collecting survey undertaken by NMS in 1985-7, including standardised pieces of lab equipment such as spectrophotometers; and present efforts on collecting for the future (2017-2020). The aim is to reconsider these collections as forms of intellectual property, attending to knowledge and forms of ownership associated with these collections, and understanding how the object’s meaning (intellectual, personal, social) changes or is maintained as it moves from its context of use to being an artefact. The Selection Process – Deadline for applications is 28th April 2017. You should write to either Niki Vermeulen or Tacye Phillipson to express your interest in the project, or make any informal enquiries, before making an application. [email protected] [email protected] .